Anyone in Canada waiting for the X10 mini or X10 mini pro? It looks like both diminutive handsets will arrive between May and June. Price wise you are looking at an initial cost of C$49.99 for the X10 mini and C$69.99 for the X10 mini pro and a three-year contract. 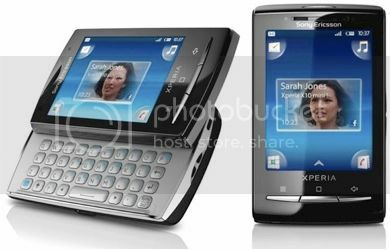 The X10 mini pro offers a hardware QWERTY keyboard over the X10 mini, but both models sport a 2.55-inch (240 x 320) display, Android 1.6, 5MP camera with LED flash, 3.5mm jack and microSD card support. Click on the above header links to get a full list of specs for each model.